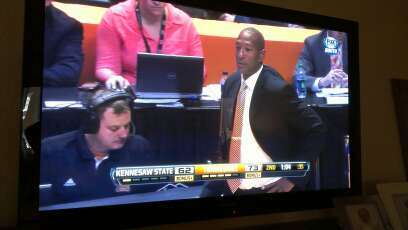 Kennesaw State Owls opened the 2012-2013 season in Knoxville, Tennessee vs UT Volunteers. The game was broadcast regionally on Fox Sports South. Coach Lewis Preston trolls the sideline as his team battled the Vols…That is me broadcasting on KSU Owls radio.